The Alabama Policy Center has an anti-pension platform. PAC--Kevin James for Mayor of Los Angeles. James ran on an anti-pension platform. To perform a financial analysis of California's public pension plans and proposed reforms. PAC for Congressional candidate Ro Khanna. Khanna made attacking public pensions part of his campaign platform. Ballot initiative to end public pensions in Ventura County. To conduct research on public pension plan and benefit obligations costs in the state of California. To evaluate the impact of Proposition B, a 2012 pension reform initiative in San Diego, in order to educate other cities and the general public. The Chamber was supportive of anti-pension "Measure B" -- a ballot measure that cut worker pensions. To support educational efforts related to California's municipal public sector pensions. To expand the Stanford Institute for Economic Policy Research Pension Tracker. To support the Institute for Economic Policy Research. To support the Stanford Institute for Economic Policy Research in its efforts to increase transparency around public sector pension plans. To develop a dataset of local government pension expenditures, finances, and employment data and research around the impacts of public pension systems. To educate the public about how to provide a secure retirement for Colorado’s public employees. To support the Secure Futures Colorado project. To conduct research about the public pension systems in Colorado. Secure Futures Colorado is an anti-pension political group with the express mission of eliminating PERA, Colorado's public pension system. They admit to being funded by John Arnold. To research back-loaded benefit design and the implications of pension reform on teacher quality. The Chamber has supported a years-long effort to overhaul Florida's well-funded pension system. To support educational efforts related to public employee benefits reform in Florida. To publish a report about Florida's teacher retirement policies. Emanuel has led efforts to cut public pensions in Chicago. Second contribution to Emanuel's campaign. To conduct research about the pension benefit structure for public employees in Kansas. The Chamber has been working to attack public pensions since 2007. To support educational efforts related to Maryland’s public pension system. To educate the public about St. Louis Public School Retirement System. To expand access to information on public employee retirement systems. To conduct research on public teacher pension plans in Missouri, Arkansas, Tennessee, and Texas. To conduct research on the relationship between pension systems and financial equities in state education. To support research on pension costs for public school employees in the state of New York. To publish a report about the defined contribution retirement systems used by the State University of New York and the City University of New York. To expand information about public retirement system. To finance Pension Peril. Grant returned in February 2014. Secure Oklahoma's mission is to attack public pensions. To support research and education efforts related to teachers’ pension systems in the state of Pennsylvania. Pushed pension bill in RI. Super PAC supporting Governor Gina Raimondo. As State Treasurer, Raimondo led the campaign to gut pensions in Rhode Island. Bill King ran for mayor of Houston on an anti-pension platform. "Local control" is a political idea in Texas that would empower municipalities in the state to cut public pensions. TPPF has issued a number of anti-pension reports and its experts have testified against pensions before the Texas Legislature. To expand access to information about public sector retirement systems. To support educational efforts related to retirement security and public pension policies in the state of Texas and across the nation. To analyze the fiscal impact of transitioning the city of Austin Employees’ Retirement System from a defined benefit to a defined contribution system. To expand access to info on public employee retirement systems. To support the Center on Reinventing Public Education. To support the Center for Education Data and Research. To analyze the City of Seattle’s retirement plan. It’s not about a funding crisis — it’s about turning retirement savers into passive investors. Who is really behind the nationwide effort to eliminate pensions? We unravel the web of connections in our latest video. Fewer companies are offering traditional plans. Here’s how it went for one set of retirees. States claim they have no money for public pensions but are more than happy to dole out corporate tax breaks. Trump’s cabinet is not the only place billionaires are shaping public policy. According to a study by NCPERS, public pensions are generally cost-effective and pump trillions of dollars into local economies. A landmark, IRA-type retirement savings program created for millions of Californians, came under threat last week. The plan would cover an estimated six million people and could make the state the first to require companies to take part in such a system. Because of our dysfunctional retirement system, too many Americans haven’t saved enough. We need a better way. 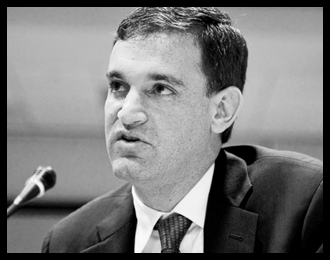 John Arnold is an Enron-billionaire who has spent up to $50 million of his own fortune on a nationwide effort to gut retirement security. Enron's demise resulted in billions of dollars of losses to its employees, their families, middle class investors -- in addition to $1.5 billion public pension assets. Arnold funds ballot initiatives, tainted anti-pension research, lobbying efforts, and the campaign coffers of anti-pension politicians. Click on a highlighted state on the map to see how John Arnold has influenced the debate over retirement security in your state.